U.S. House votes 400-20 for a measure that would subject more Iranian goods and services to sanctions. The U.S. House on Wednesday passed its most stringent package of sanctions against Iran, Bloomberg reported. This comes just four days before the new Iranian president, a cleric described as a “moderate”, takes office. The House voted with an overwhelming majority of 400-20 for a measure that would subject more goods and services to sanctions, in addition to authorizing the president to impose penalties on foreign entities that maintain commercial ties with Iran. The bill, H.R. 850, intends to clamp down on resources that could be used by the Islamic republic to further its nuclear weapons capabilities, such as access to foreign-currency markets. President-elect Hassan Rouhani begins his term on August 4 and follows Mahmoud Ahmadinejad’s eight years in office, during which Iran was hit with intensifying international sanctions over its nuclear program. President Barack Obama has said the U.S. will prevent Iran from acquiring nuclear weapons. Rouhani was elected June 14 in a surprise victory after pledging to ease Iran’s economic and political isolation. Bloomberg reported that the timing of the House vote drew objections from some lawmakers who said that while they support sanctions, Rouhani should be given a chance to improve diplomatic relations with the U.S. The proposal for tougher sanctions drew bipartisan support from the chamber’s leaders, with Speaker John Boehner, an Ohio Republican, and Democratic leader Nancy Pelosi of California coming to the floor to speak in favor of the measure. “Iran is a global menace and this bill empowers the president to act decisively to address it,” Boehner said, according to Bloomberg. If enacted, the bill would build upon a December 2011 law that cuts off access to the U.S. banking system for foreign financial institutions that settle oil trades with Iran’s central bank, unless their home countries get an exemption from the sanctions by significantly reducing purchases of Iranian oil. Sanctions aimed at stopping Iran’s nuclear program have hindered its ability to export crude oil. Iran was the second-biggest producer in the 12-member Organization of Petroleum Exporting Countries as recently as June 2012 and is now in sixth place. 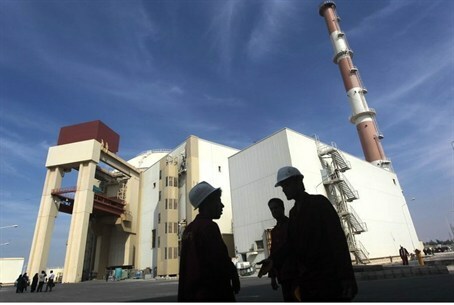 Iran has held several rounds of talks with six major powers -- the U.S., China, Russia, Britain, France and Germany, known collectively as the P5+1, about its nuclear program. Each round has ended without results.